As Amazon’s advertising business continues to grow, we’ve seen Amazon roll out more and more features into their advertising Campaign Manager. From new filters and bulk actions to adding portfolios, they are trying to improve the experience for sellers running PPC advertising on their platform. One of the most recent updates was the addition of Product Attribute Targeting or PAT. This advertising targeting allows sellers to go beyond keywords and target their audience by category, ASIN, reviews, price and brand. Used correctly, this can be a powerful way for Amazon sellers to get their ads in front of the right audience. Note that the targeting used for these ads is similar to Product Display ads available in the Advertising Console (formerly AMS). However it is a different placement: they do not show up below the Buy Box, but rather in search results and in the Sponsored Products ads carousel on the product page. When creating a manual campaign, sellers can now choose either keyword targeting or product targeting. 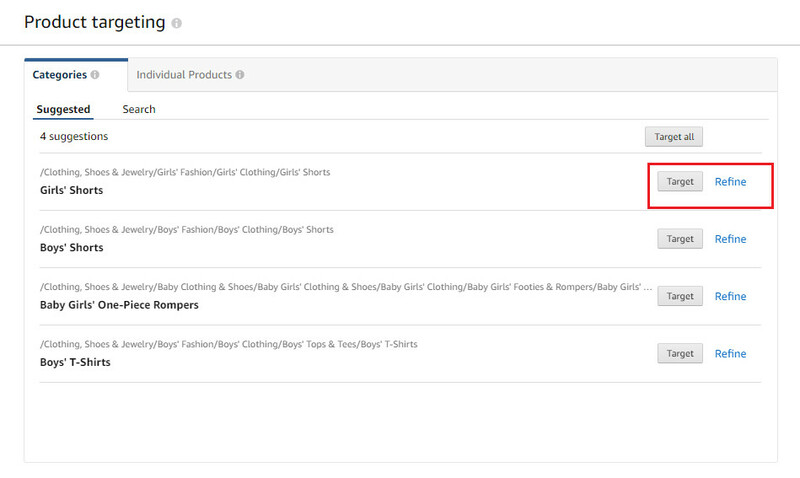 Once you select Product targeting you can choose from a list of categories related to your brand. And even better, you can choose to refine the category using brand names, price range and review ratings. 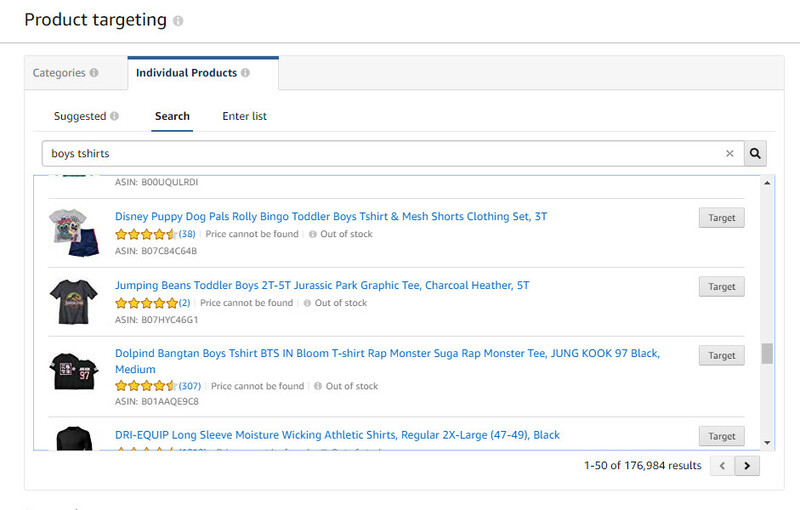 Or you can target specific products, use either the search function or upload a list of ASINs you’ve identified. You can also exclude brands and products if you don’t want your ads appearing alongside certain products. 1. Set up PAT ads in their own campaigns and ad groups. I recommend keeping your campaigns specific to a particular product (don’t throw your entire catalog into one campaign) and keep product and category targeting campaigns separate, for easier monitoring. For example, you could have a campaign called Women’s Running Shoes - Product and a campaign called Women’s Running Shoes - Category to help you track performance across the different targeting types for that product line. You could further refine this into Women's Running Shoes - Product - [competitor brand], Product - [complimentary brand] and so forth to better compare and optimize different niches. You could do this on the campaign or ad group level. 2. Don’t just choose entire categories without refining. One mistake we see is a seller choosing an entire category without using the available refinements. 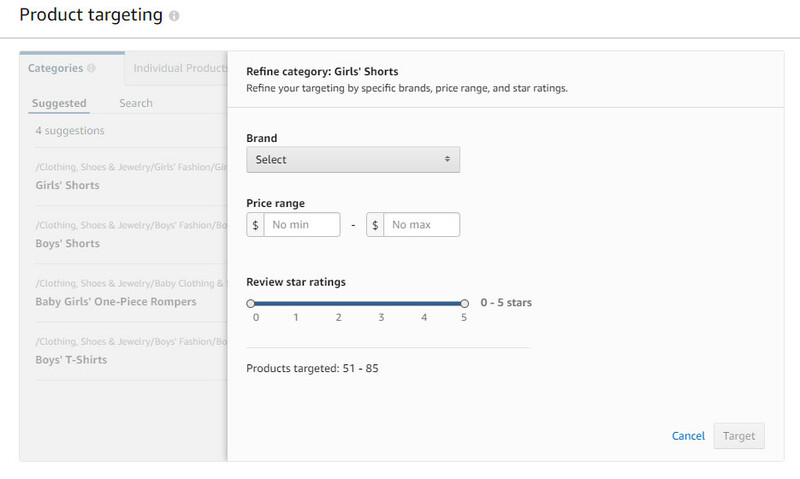 When you click “refine” next to the category, you are given the option to target specific brands, price points and star ratings. Be strategic about what you choose and test a variety of combinations to see what performs best. A good target to test would be products in your category with star rating <3 and a price point higher than yours, but test other combinations. We saw surprisingly good results for one particular brand when we tested just the star rating <3 and saw many sales coming from competitor ASINs priced lower than our product but with lousy ratings. Customers will pay more for better quality. Set up several combinations and watch to see how they perform. Shut off anything that is not giving you the return you are looking for and build on what works. 3. Choose the products you target using your existing data. When it comes to targeting specific products, if you have been using Automatic campaigns, you may already have a wealth of data to use. Pull your search-term report and look at the search terms for your Automatic campaigns. You should see a number of ASINS. Filter your report by your desired ACoS or other metrics and you’ll have a list of ASINs you should be targeting. Take the time to look up those ASINs on Amazon. What kind of products are bringing you sales? Competitors? Complementary products? Your own? Use that information to expand your targeting to similar products and see how that performs. 4. Think about how a customer shops. Especially when launching a new product with little existing data to inform your targeting, think about how a customer may shop and compare you to other products. What other products are they browsing for? What competitors are in the market? 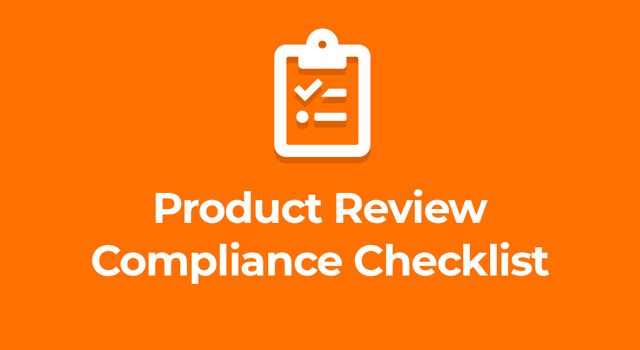 Do you have existing products that sell well and would complement your new product? When launching a kid’s educational product, we found a lot of success in targeting complementary products. Customers were shopping to solve a specific problem, and as they browsed a number of different products that could help, they saw our ad for a product that solved the problem in a unique way and ended up clicking and buying. Don’t just set and forget these ads. Some targeting will do really poorly. You’ll have an ACoS in the triple digits, and you'll want to pause. Some will perform well. You’ll want to try to expand on those. Just as you do with keyword based campaigns, keep reviewing your Automatic campaigns for high-performing ASINs you can target. A careful strategy will help you find the right combination of targeting for your product line. Keep in mind that keyword targeting will continue to make up the majority of your ad spend and sales, while PAT ads will be used to bring in incremental revenue and give your products additional exposure. As Amazon continues to invest in its advertising business we will see more and more features and products being rolled out. With more and more sellers using PPC advertising, those that move quickly to understand and use these additional feature will have the advantage over sellers late to the game.